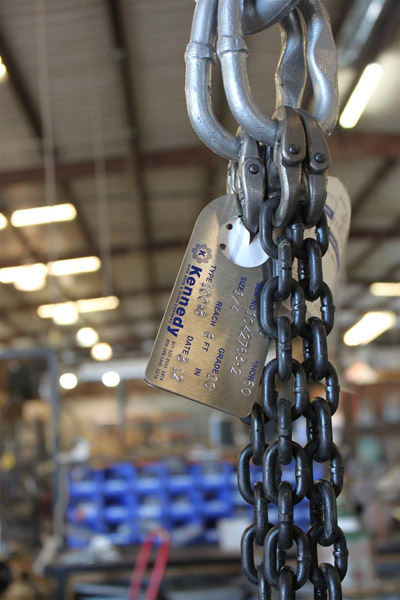 Kennedy Wire Rope & Sling Co., Inc. offers a wide variety of chain sling options for use in many situations. 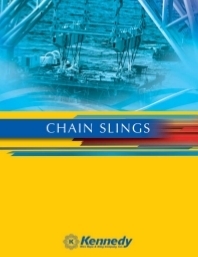 This special type of sling can be made from Grade 80 or Grade 100 chain making it flexible and resistant to high temperature, ideal qualities for use in harsh environments. Our representatives are happy to help you choose the best single leg sling for a particular application. Double leg slings are used for even distribution of heavy loads. For three or four-leg slings, weight distribution should be even among each leg. This ensures that the rated capacity is correct and the load is lifted safely. For help choosing the correct sling for your project, call us today at 361.289.1444.